Students and families love Casey and Kyle! What is Casey and Kyle? Casey and Kyle is a family-friendly comic created by Will Robertson. It's inspired by his own children. It's been published in book collections for over ten years and is now expanded to include a quarterly magazine. Is this a print magazine, or digital? We think it's good to get a break from screen time, so Casey and Kyle proudly appears in print. Why would my students/school want this? 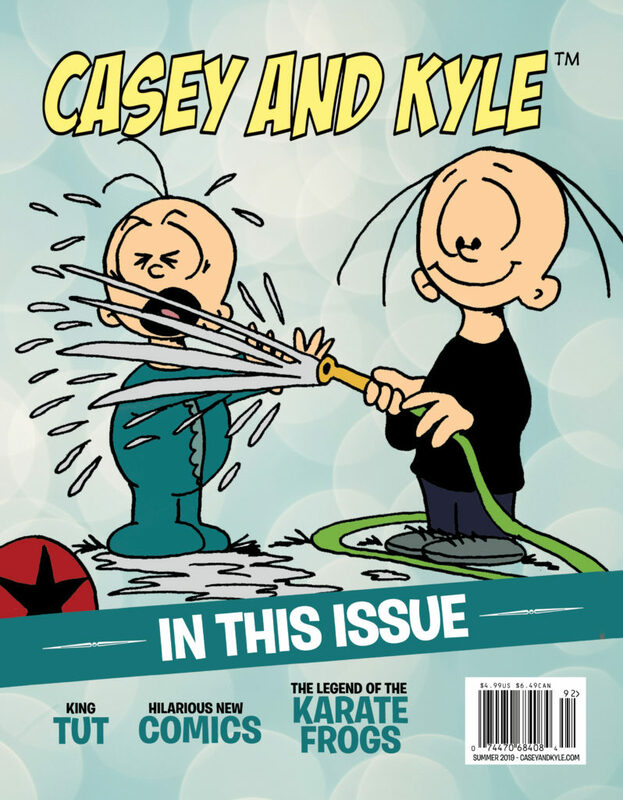 Each quarter we publish a new issue of Casey and Kyle magazine. Our passion is to get kids excited about reading, by giving them something they'll really love. As they engage with the magazine, we also include other cool articles and activities to help them cultivate an interest in the wide world of literature and the arts. And since we love to make people laugh, each issue is full of hilarious new Casey and Kyle cartoons! Does our school have to pay for this? Casey and Kyle is sold through our partnerships with retailers, however the magazine is offered free to schools. Once your school is signed up, we deliver enough copies for each student to have their own. I love it! How do I get this for my students? We've made it easy for principals and superintendents to sign up. All you need to do is reach out to us on our contact page and let us know the name of your school (or district for superintendents), the city/state, and the number of students that are enrolled. We'll be in touch to confirm and to set up delivery.